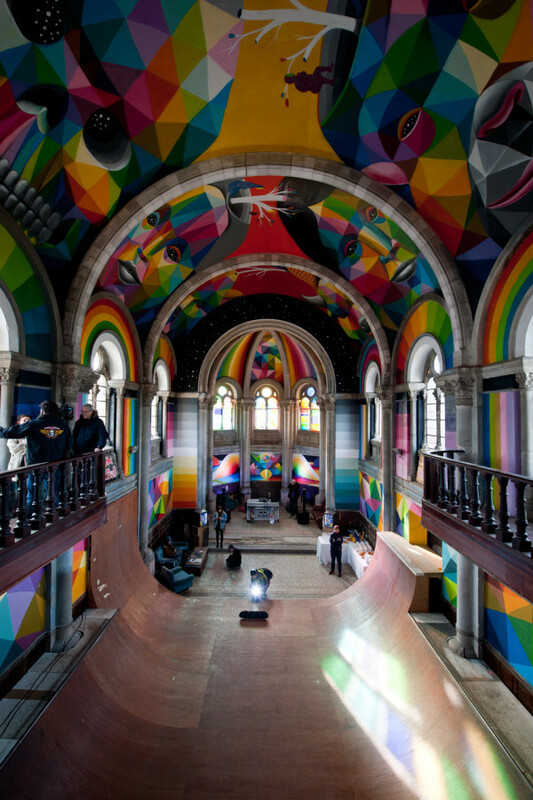 It seems that lack of a congregation, has turned this venerable old church in Llanera Spain into a skateboarders paradise. There is little on the original church’s design or age in the article. It’s basically all pictures of the new look. It definitely is colorful enough and whole redo was sponsored by that high caffeine drink Red Bull.